Representative Seth Moulton of Salem is about to get some serious reinforcements to his troop of Democrats who want to end Nancy Pelosi’s 15-year reign as the leader of House Democrats. 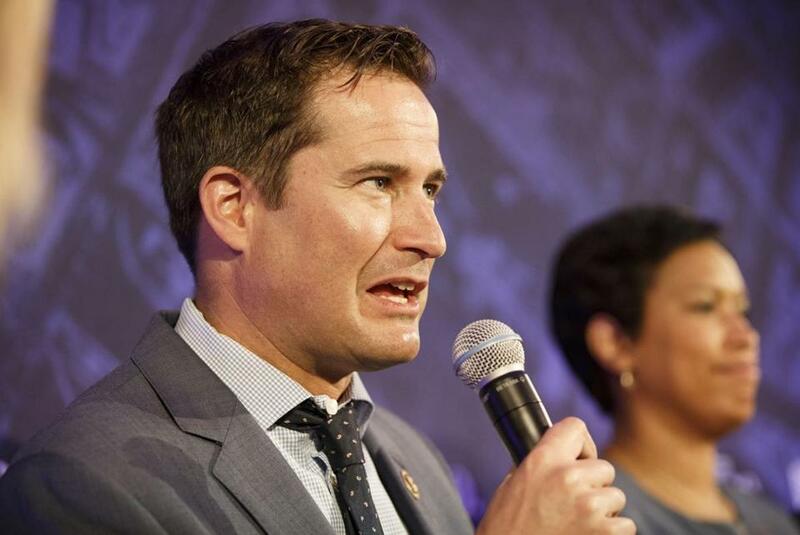 WASHINGTON — Representative Seth Moulton of Salem is about to get some serious reinforcements to his troop of Democrats who want to end Nancy Pelosi’s 15-year reign as the leader of House Democrats. Nineteen of the incoming House Democratic freshmen were endorsed by the outspoken Pelosi critic through his Serve America PAC — and Moulton says many of these congressional newbies are committed to voting for new leaders in the House. House Democrats had a big night on Tuesday, wresting control of the lower chamber from the GOP by picking up a net of 30 new seats. There are still a handful of races that haven’t been decided, and the Democratic margin in the House is likely to grow. The bounty comes at a cost: It sets up a leadership battle in the House Democratic caucus between Pelosi loyalists and those who want a new direction in the chamber. Facing a barrage of negative ads from Republicans tying them to Pelosi, about a dozen members of the incoming freshmen class said they would oppose Pelosi as speaker. Dozens more dodged the question or expressed a desire for new leadership. What can Nancy Pelosi promise those now fighting like crazy to put the House in Democratic hands? Of the original 20 US military and CIA veterans Moulton endorsed, eight have won their races. Six of them, including Conor Lamb of Pennsylvania and Jason Crow of Colorado, said they would call for new leadership in Congress if they were elected, adding to a growing faction of members who oppose Pelosi’s speakership bid. Moulton endorsed another 11 candidates without military backgrounds who are also headed to Washington, and several of them were critical of Pelosi on the trail as well. Pelosi’s allies are projecting confidence about her chances, pointing out that no one has formally emerged to challenge her for the speaker’s gavel. They’re pitching her as the only person with the experience necessary to guide the House in what is already shaping up to be a tumultuous time. She’s a formidable fund-raiser and delivered the electoral victory Democrats needed, they point out. 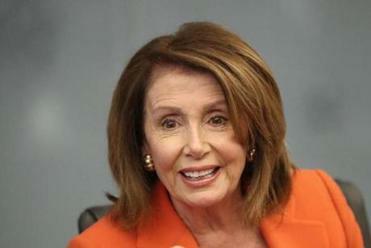 “I’m the best person to go forward, to unify, to negotiate,” Pelosi said this week. Even President Trump appears to believe Pelosi will land the job, calling her “Speaker Pelosi” in his press conference Wednesday, and praising her for her accomplishments. But Moulton said that’s because Pelosi makes a better foil for the president to run against than a new leader would. The leadership elections are scheduled to take place the week after Thanksgiving in a closed-door meeting. Whoever emerges victorious would then face a floor vote in January, when at least 218 of the approximately 230 Democratic members would probably need to back Pelosi. So far, Moulton and other Pelosi critics number around 20, raising the question of whether she would be able to prevail in the floor vote. Pelosi spokesman Drew Hammill said she is “confident in her support among members and members elect.” He pointed to severalpolls that suggest Republican attack ads featuring Pelosi did not motivate voters in the midterm elections. Tuesday’s election results bolster Moulton’s reputation as a savvy recruiter and fund-raiser operating outside the party system. His Serve America PAC endorsed 34 House candidates in total. Nineteen of them won their races, with a handful of candidates still in races too close to call. Liz Goodwin can be reached at elizabeth.goodwin@globe.com. Follow her on Twitter @lizcgoodwin.